The Orvis Sandanona Shooting Grounds in historic Millbrook, New York, are only a 90-minute drive from midtown Manhattan. If there was a cologne for sportsmen named "Loving Life," the fragrance would blend the aromas of fine cigars, spent shotgun shells and autumnal foliage. And it would be the signature scent of the Orvis Sandanona Shooting Grounds in historic Millbrook, New York, a 90-minute drive from midtown Manhattan. 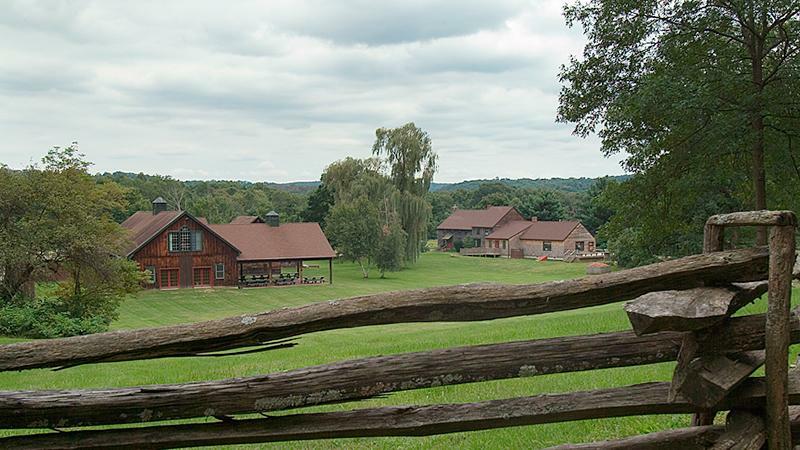 Sandanona's 20-station sporting clays course is ensconced in the rolling forests of Dutchess County. On the trails through the chestnut, oak and red maple trees, you'll meet groups of men smoking cigars and shooting their shotguns at fluorescent orange targets whose flight paths simulate live game. The grounds attracts an eclectic mix of Wall Street millionaires and local tradesmen who share their love of shotgun sports amid the 400-acre masterpiece. The oldest permitted shotgun shooting club in the country, Sandanona began as a family estate some 108 years ago outside of Millbrook Village. Family patriarch and New York financier Morgan Wing used the original 300 acres to work his bird dogs and raise game birds. He called the area Sandanona, Native American for "brilliant sunshine." There he entertained friends, family and business associates. In the late 1930s, Morgan started charging for bird hunting, drawing on his fraternity of New York's elite. After he died in 1957, his son converted the one-room schoolhouse on the property into a lodge and expanded the commercial bird-hunting operation. Sandanona changed hands in 1985 and was subsequently sold to Orvis in 1994. Over the years, Sandanona matured into a flagship showcase of the Orvis lifestyle. The luxe yet rustic lodge, populated with leather furniture, is a gathering place for purchasing shotguns, fly-fishing gear, premium sport apparel and booking fly-fishing and shotgun lessons as well as bird hunts. Sandanona taps into the mythical time warp of the high-adventure chronicles of Ernest Hemingway, Nash Buckingham and Robert Ruark. As you climb the steps to the covered verandah, expect to see sportsmen comfortable in Adirondack chairs savoring their cigars, shotguns resting upright on the racks behind them. The indulgence contributes to the post-war, private-club atmosphere, although Sandanona is open to the public and is actually quite family friendly. The robust cigar society of Orvis Sandanona can be attributed to Ed Gerrard, the upland manager who doubles as cigar boss. About six years ago, Ed contacted Davidoff to establish a relationship, which eventually led to the installation of a Davidoff humidor and the creation of three seasonal cigar shoots on Sunday afternoons. Davidoff sends a representative with a large selection of cigars. The 100-target sporting clays tournament ($90 for members, $120 for non-members) features prizes of Davidoff cigars and gifts. Davidoff breaks out the boxes and engages in educational discussions about the cigars. After the shooting is done, beer, wine and whiskey tastings from local craftsmen are included, along with sandwiches and hors d'oeuvres. Shooters can bring their own cigars, too. "We have a big cigar, whiskey, golf and shooting culture here," Gerrard says. Even if you don't shoot shotguns, a trip to Sandanona simply for a cigar on the verandah might inspire you to sign up for a lesson or two.